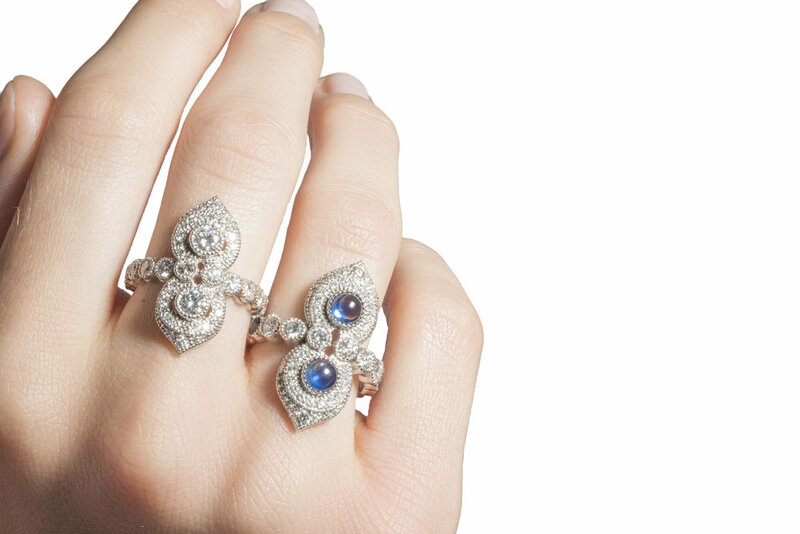 Diamonds capture the desert night in this ring from the "Arabian Nights Collection." Inspired by ancient Moorish and Arabic designs, this ring most appropriately features 2 Cabochon Blue Sapphires that glow amidst the round Brilliant Diamonds. 1.78 carats total weight, Sapphires are .84 carats total, dark blue, moderately included. Diamonds are .94 carats total weight, E-F-G in color, VS in clarity.